I love reading this account often called “the first miracle of Christ”, however, I believe it is most likely the first RECORDED miracle. It’s just pretty obvious to me that His Momma knew from experience what her Son was capable of doing. She also knew that her Son would give her what she asked Him to give. I see, in this passage, three things that sound to me like good advice for us all. 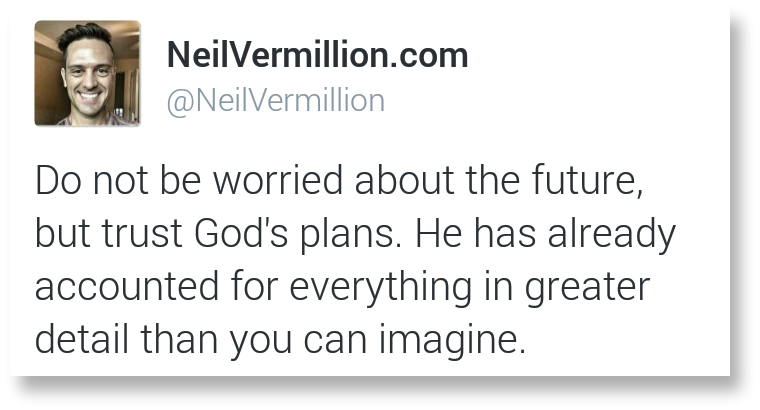 Know what God can do. Learn of Him. God responds to faith. 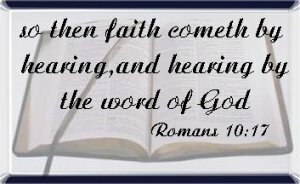 Faith comes by hearing; and hearing by the Word of God. When we have a need, we turn to what we know. Mary knew her Son, so she turned to Him for the need she perceived. Ask of Him. Mary knew her Son and what He could do, so she asked Him for it, knowing He could and would supply. Later, Jesus, after training His disciples, told them, ““If you abide in Me, and My words abide in you, ask whatever you wish, and it will be done for you” (John 15:7 ). Like Mary, when we know God through Christ and believe what He can do, we gain confidence to ask with faith of receiving. My first, real experience of this happened many years ago. I had a headache that would not go away. For weeks on end, I could get it dulled, but not gone. One day, after a particularly excellent quiet time with the Lord, praising and praying to him, that headache had a stronghold on me. Already having taken the med for it with no results, I told the Lord I was so tired of that headache. To my heart came clear instruction to lay down. As I laid down flat on the sofa, I told the Lord, “This is weird to me, but I trust You.” The Spirit led me to relax, eyes closed and focused fully on God, beginning with my feet and working up. With His coaxing, I relaxed so deeply that I felt like I sank into the cushions. When we reached my neck, a very small circle of light appeared in the darkness behind my eyes. Watching it, the circle grew bigger and brighter. Then the image of an angel appeared, flying up through the circle of light and out the top of my head, fist clenched in front of him and the biggest, laughing smile on his face. Followed by one after another in like fashion, those angels kept flying through my head until my entire skull was full of light so bright that I squinted trying to see. I laid there totally relaxed and in stunned awe for a bit, before sitting up, absent the headache. That healing lasted for many weeks, not having any type of headache at all. And I’ve not had that particular headache again since then. 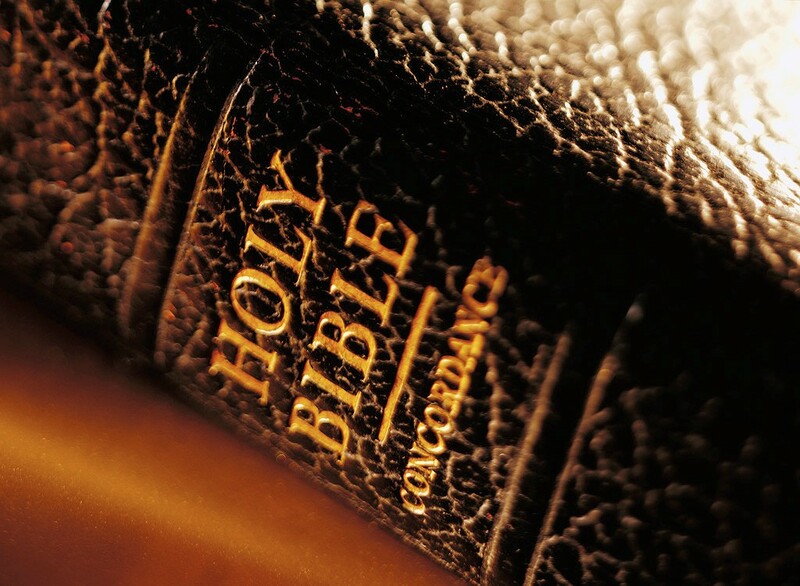 Scripture tells us God’s ways and thoughts are not like ours. When we seek Him to do a work only He can do, trusting Him when the clear instructions sent seem strange to us is vital to our experiencing His answer to our need. Learn to know Him, Beloved. Be quick to seek Him in faith, believing. Then listen to His instruction, which can come through His Word, through the insights of those around us, or in that knowing place in us that houses His Presence with us. Once His instruction is clear, do what He says, and get ready to stand amazed. Convinced of This: I Can Do All Things Through Christ! “I know how to get along with humble means, and I also know how to live in prosperity; in any and every circumstance I have learned the secret of being filled and going hungry, both of having abundance and suffering need. I can do all things through Him who strengthens me” ~ Philippians 4:12-13. Beloved, I ask you, have you come to the place in your relationship with God where you truly and fully know that you “can”? No matter the storm; no matter the hardship; no matter the challenge; no matter the duty; no matter the appearance of weakness and insufficiency: do you knowingly proclaim in full assurance “I can do all things through Him who strengthens me”? Reading John 5:16-18, these words grab me: “(Jesus) calling God His own Father, making Himself equal with God.” The Scribes and Pharisees raged at Jesus, angered by this connection, but this is true of Christ like it can never be for us. Jesus is God incarnate. Jesus came to show us the Father and make Him known to us. Jesus came with the calling and equipping of God to make us one with Him in Christ. Now bear with me. As I contemplated that thought, “Making Himself equal with God”, asking Jesus what He wanted me to see, He spoke, “Our Father, who art in heaven” (Matthew 6:9). Instantly I realized Jesus, instructing my heart that our ability to know “I can do all things through Christ” requires we find this same expression of unity with the Father for a life of power. He must be “FATHER” to ME. The thing the Pharisees accused Jesus of, He instructs us to seek the Father from that very stance: we are the image of God. Jesus, our example, tells us in John 14:7-15, “…He who has seen Me has seen the Father; how can you say, ‘Show us the Father’? Do you not believe that I am in the Father, and the Father is in Me?” Jesus, in John 17, prays that we will be one with Him and the Father as He and the Father are one (vs. 22). If Jesus prayed it, it must not only be possible, but expected. We are the people called of God, equipped through Christ, beloved, to be one with the Father, expressive of His glory in Christlikeness. This is our position in Christ. “Believe Me that I am in the Father and the Father is in Me; otherwise believe because of the works themselves. Truly, truly, I say to you, he who believes in Me, the works that I do, he will do also; and greater works than these he will do; because I go to the Father” ~ John 14:11-12. Jesus calls and equips us for greater works, beloved. He empowers us to express the reality of the Father: His person, character, nature, and power in the earth. That comes with authority and full provision for the task. When we grasp hold of our unity with Father through Christ and fully possess it as our own reality, knowing He plans for our success in fully accomplishing His good will in His good way, pouring Himself through us to do so, then we will know beyond doubt the “I can do all things” that God holds out to us in Christ. “For one who speaks in a tongue does not speak to men but to God; for no one understands, but in his spirit he speaks mysteries” ~ 1 Corinthians 14:2. I believe the gift of tongues is still active in the body of Christ today. It was not until recently that I have sought the Lord for deeper understanding of this gifting. The teaching I have heard has downplayed this gift. It also has told me that this “tongue” is the language of the “angels” and that Satan cannot understand it. That never came across to me as true because Satan, fallen as he is, is an angel. He knows the language of the angels. That being true, to seek that gift and long for it rather than for greater experience of God puts one in danger of a false tongue. That raises up fear in me that hinders my desire for the gift. I have heard stories of people who received a false tongue and the work of the demonic that came with that to hinder their effectiveness as God’s instruments. One such story reports from a missionary of a time on furlough when he stopped in for worship while traveling to his destination. The church he visited was a tongues speaking church. They had people come up to the interpreter with their tongue and the interpreter would expound on the message of the speaker. After one particular message, the missionary stood up. Apologizing for interrupting when he was but a guest, unknown by the body, he explained that he was a missionary to an Asian area of the world. Then he told them that the last person speaking was speaking in the language of the people group he worked with. He said, “In that language, this man just cursed God and Jesus.” Tongues can be falsified and work in the heavenly realm and on the earth to do harm if we are not careful to seek God rather than a language. Nevertheless, I have experienced the gift of tongues and the interpretation of it enough to desire the closeness with God and I have prayed many times that, if I can have more of Him with it, I want it. Yesterday that desire increased as I contemplated the scripture above and God instructed my heart with understanding that corrected the teaching I have received. He brought to my heart the memory of the language of twins (triplets, etc.). On the earth it is observed many times that twins from the same egg often share a language that is known by no other than themselves. Parents and other siblings may pick up on the language as they observe the twins. The twins may teach the language to another, but it is their own voice, and no others. Suddenly I understand that the true “tongue” of God to His people is not the language of the angels, but the language of the Triune. Now I see how no one else would know it, not even the devil. Wow! Now I see how awesome this gift is and my desire is increased by the understanding that this gift can only be had by those whose desire is for Him and greater understanding of the Triune Glory. Now I see why tongues edify the person speaking it. It is a sign of the nearness of God, personal communion with Him in His personal language. Not even the angels have that. It is God’s gift to us who house the Spirit of God, given to those with whom the Spirit wills to share it. I experience the groaning of the Spirit often, even as I type this. How blessed it would be to me to know the language, not only to speak it, but to interpret it so my mind is edified and I can share it with others. Now I pray with increased understanding and faith in God, who can protect from the false, if it be Your will, O God, here am I. “Therefore, my brethren, desire earnestly to prophesy, and do not forbid to speak in tongues. But all things must be done properly and in an orderly manner” ~ 1 Corinthians 14:39-40. “For this reason also, God highly exalted Him, and bestowed on Him the name which is above every name, so that at the name of Jesus every knee will bow, of those who are in heaven and on earth and under the earth, and that every tongue will confess that Jesus Christ is Lord, to the glory of God the Father” ~ Philippians 2:9-11. On our journey to discover the pathway to godly promotion, the words, “this reason,” beacon us to discern the reason mentioned for Christ’s promotion to the Name above all. Finding the answer and discovering the pathway to our own promotion requires we go backward in the passage from here. Doing so, first we look at the example of Christ that is the reason for His promotion. “Have this attitude in yourselves which was also in Christ Jesus, who, although He existed in the form of God, did not regard equality with God a thing to be grasped, but emptied Himself, taking the form of a bond-servant, and being made in the likeness of men. Being found in appearance as a man, He humbled Himself by becoming obedient to the point of death, even death on a cross” ~ 2:5-8. Jesus had it all. 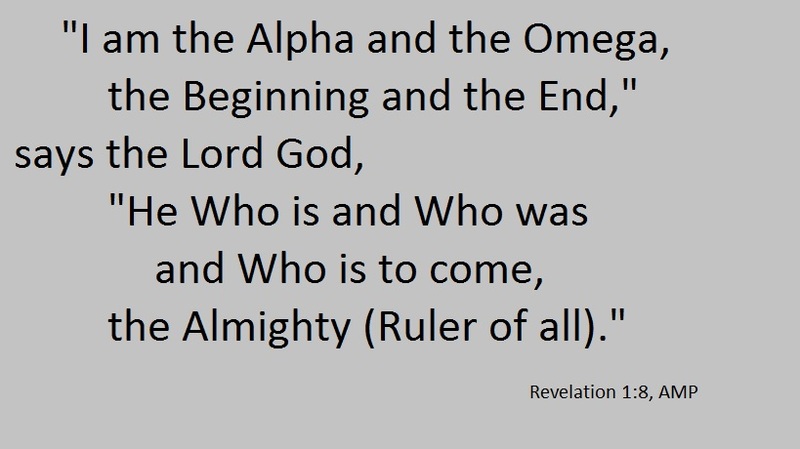 He was in the Eternal, the Omnipotent, Omnipresent God, with full authority as God. He chose to leave the Eternal, coming into the limits of a flesh being so-as-to set the example and live the life that led to sacrifice for the eternal hope of all humankind. That journey led Him back to the eternal for all time, imparting to Him as Christ, the Son of God and man, the Name above every name as King of kings and Lord of lords. Simultaneous with Jesus’ promotion, God imparted to us the Way to Truth and Life Eternal in Christ. The humbling of self to the point of obedience. “And He was saying to them all, ‘If anyone wishes to come after Me, he must deny himself, and take up his cross daily and follow Me’” ~ NASB. We must do as Jesus did, denying self-interest in order to take up the cross of self-denial as exemplified in Christ. 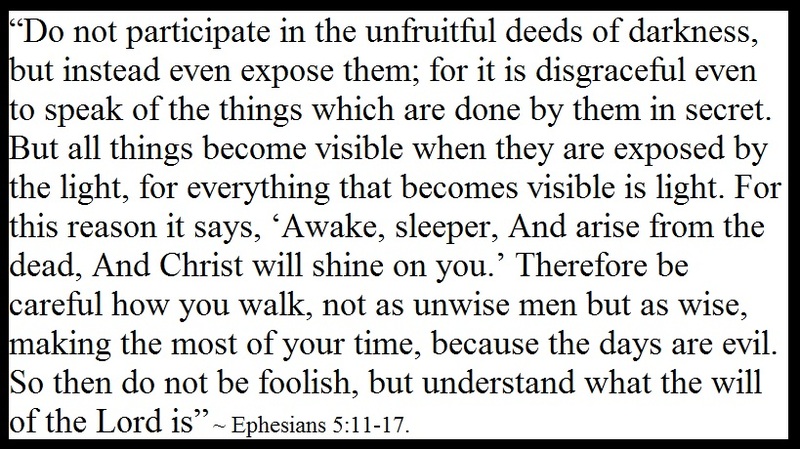 The Amplified version of this verse tells us that to deny oneself means to disown oneself by losing sight of self-interest and concern, laying down one’s own interests, to refuse and give up self-centered purposes. Denying oneself takes up God’s purpose, plan, will, and way as one’s own. The Persona of Pre-Jesus, described in our Philippians passage as One existing in the form of God, willingly chose to relinquish who He was and all He had in order to walk in human flesh as the promised Messiah—fully man, while rightly God. We follow His example by emptying self of our flesh man to take up His likeness in Spirit and in Truth. Emptying oneself lays down the person we think we are and desire to be in order to discover the person He destined us to be. It lays down our individual, selfish want and any claim on one’s own life in order to take up Jesus, give Him full reign, and allow Him to complete His work on earth through us. In so doing, we become the body of Christ. This is the humbling of self before Him to the point of obedience at any cost. God “WILL RENDER TO EACH PERSON ACCORDING TO HIS DEEDS: to those who by perseverance in doing good seek for glory and honor and immortality, eternal life; but to those who are selfishly ambitious and do not obey the truth, but obey unrighteousness, wrath and indignation” ~ Romans 2:6-8. Godly promotion requires dying to self-interest, humbling self to obey God, trusting Him to be God, lifting us up and taking us to higher ground in His way and on His timetable. He knows what our promotion in life looks like and what it will take on our part for us to get there. Note that Jesus received a type of promotion through a degree of renown in the earth that led to thousands following to see what he would do next. However, even the closest of His followers scattered and denied Him when He was taken into custody and only a little over 100 followers of Christ remained in that upper room after He bore His cross. The true promotion of Christ came to Him as He took His seat at the right hand of the Father in the Eternal. We too readily work for a promotion we can see here and now, failing to focus on the treasure of Heaven. If our promotion is not what we expect, bringing hardship and challenge to us as it did to Jesus, Paul, and others of Bible times, we too readily fall away and quit working for the things of God. The heart of Jesus often hurt over those who turned away, but He did not view His success from a worldview. He saw with eternal eyes and trusted the will and way of God. God’s idea of promotion and prosperity is not worldly, but eternal. Jesus set the example to show us the way to godly promotion through emptying of self and living humbly as servant of God, trusting all to Him. 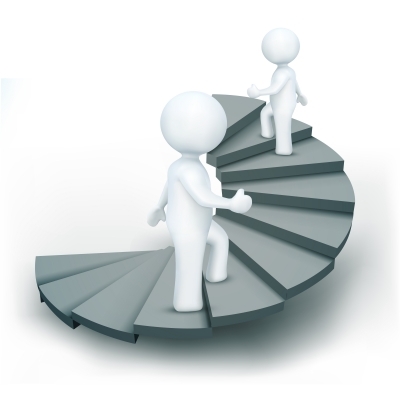 Next post we look at what God expects of us who would receive promotion. 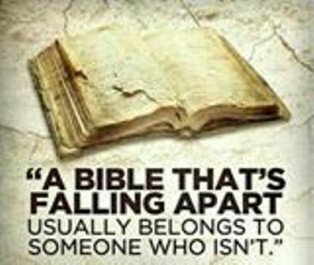 “Do not store up for yourselves treasures on earth, where moth and rust destroy, and where thieves break in and steal. But store up for yourselves treasures in heaven, where neither moth nor rust destroys, and where thieves do not break in or steal; for where your treasure is, there your heart will be also” ~ Matthew 6:19-21 (see 1 Corinthians 3:10-15). “If then you have been raised with Christ to a new life, thus sharing His resurrection from the dead, aim at and seek the rich, eternal treasures that are above, where Christ is, seated at the right hand of God. And set your minds and keep them set on what is above, the higher things, not on the things that are on the earth” ~ Colossians 3:1-2, AMP. “I know that this will turn out for my deliverance through your prayers and the provision of the Spirit of Jesus Christ, according to my earnest expectation and hope, that I will not be put to shame in anything, but that with all boldness, Christ will even now, as always, be exalted in my body, whether by life or by death” ~ Philippians 1:19-20. The Apostle Paul was, and still is, a big man in Christendom. He is the example of one who follows hard the example found in Christ, taking every opportunity to glorify the Lord, “whether by life or by death.” As we begin our study to find the heart-song of godly promotion, what better place to begin than with Paul. Promoted by God as the best-known apostle of Jesus Christ, his road to fame was full of opportunity, but not of ease. 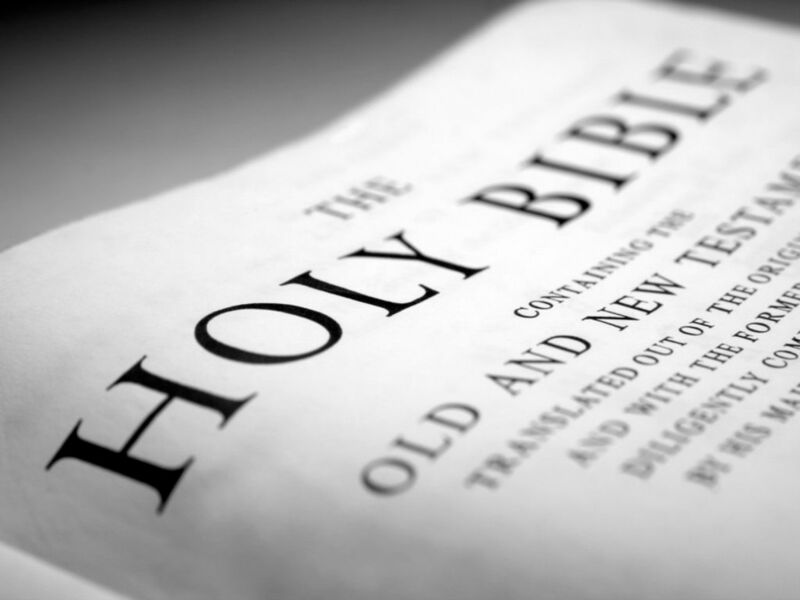 Paul wrote 2/3s of what biblical scholars deemed worthy books to include in the New Testament portion of the most published historic chronicle of our day. The Holy Bible is the go to authority for those desiring to follow Christ Jesus as Lord; and Paul was the number one, exemplary leader in teaching the way of following Jesus. Because of his heart for God, Paul was highly promoted by God, but not in the way that we too readily tend to look for it. Paul often wrote from a jail cell or while in chains as a prisoner awaiting trial. He often relied on financial supply from those supporting his work and never, to our knowledge, had great, earthly wealth. Not much of a promotion in this worlds standard of measure, is it? Yet even here, in this letter written during one of those imprisonments, we hear his heart as he speaks of seeing the place he was in as an opportunity to accomplish God’s purpose and plan. Later in Philippians, Paul writes of learning the secret of being content. The secret he professes is that of seeing every situation in life as opportunity to trust in, rely upon, and glorify the Lord as his source of strength and supply (Philippians 4). Paul was so successful as a follower of Christ, taking every opportunity to bear witness of Him, that people were jealous of his success as a minister of the Gospel of Jesus Christ. We see that in his testimony in chapter 1:12-15. Others, seeing Paul’s example of faith in God despite circumstance, received inspiration to take every opportunity to share their own testimony of faith in God through Christ. Paul tells us that some preached Christ out of envy, hoping to cause trouble for him, but that did not bother him as long as Christ received glory in their sharing (1:16-18). These preaching out of envy are a picture for us of those who desire promotion with an ungodly mindset. They do not have as their greatest desire the promotion of the cause of Christ. Instead, their greatest desire is to achieve the prestige they see in others. These may have made a name for themselves in the earth; we don’t know for sure as they are not named, but these are an example to us of promotion sought after from a wrong mindset and heart-song. These desire prestige for self rather than the furtherance of Christ. On this journey we walk in Christ, our promotion may not look like a good thing when viewed from a world viewpoint. Promotion as the people of God’s Kingdom, stationed in this world as ambassadors of Christ, God’s Holy Priesthood, truly effects our Kingdom position and eternal reward. Promotion from God’s viewpoint requires that we recognize every opportunity to take a step up for the glory of God, even when it may lead to our own momentary discomfort. The promoted and successful in Christ follow God and His will, accomplishing Kingdom purpose at all cost, knowing He is our supply, being content where we are, with faith that God is working His plan in and through our lives. Each step toward higher ground with God only goes up when taken with a right and true heart attitude. Success on the journey requires we have a mind set to please God alone with a right heart attitude, so we successfully participate in His fulfilling eternal, Kingdom purpose. Next post we begin the journey of discovering the reasons for Christ’s promotion and the instruction God gives us who are the called, equipped by Him to come up higher as His Kingdom representatives. “Behold, I am sending you out like sheep in the midst of wolves; be wary and wise as serpents, and be innocent (harmless, guileless, and without falsity) as doves” ~ AMP. “There is no security on this earth, only opportunity” ~ Neal Caffrey character on the TV program, White Collar. Several weeks ago, reading Philippians, I noticed something that caught my attention in a deeper way. I noticed the example of Christ with new understanding. Mulling over these passages in these weeks, while finishing the study of life at God’s side, asking Father the direction He desires we go as we look at these verses, my heart landed on one word: Promotion. “For this reason also, GOD HIGHLY EXALTED HIM, and BESTOWED ON HIM THE NAME which is above every name” ~ Philippians 2:9 (read Philippians 1-2). Promotion has long been a big word in this world. Many people desire to come up higher in life, be a recognizable somebody, do something big, and find security in the journey. More and more in the Christian community that one word rises up within bodies of believers. Many Christians watch for their promotion to higher ground in every area of life. They work toward it, long for it, some with undying resolve, others stumbling away from faith when their expectations go unfulfilled. As I look at the example of Christ and think of the example of Paul, the author who penned the Philippians letter, I wonder if we are looking for promotion in all the wrong places and all the wrong faces. In light of the understanding flowing to me as I ponder these truths, “There is no security on this earth, only opportunity,” resounds with a wisdom that humbles me. As I consider this saying from a secular crime show in light of the spiritual wisdom unfolding to my heart from God’s word, I can only hope and pray to write these thoughts with a clarity that helps us all to know the true prosperity God desires for us. As we share together this journey to discovering “this reason” that brings promotion, feasting on these words we will cover in Philippians, I pray we each desire and find the promotions in life that come from God alone. I have a problem that sometimes loses friends. …because I have experienced Father, Son, and Holy Spirit in a way that compels my belief and strengthens my faith through the experience. It is what gives me courage to speak up and risk rejection, persecution, and alienation. This word instructs me to understand that the greatest love is to deny fear of losing a friend so-as-to share these things I believe true with those who I do not know have ever heard; and to encourage the faith of those who struggle to believe. From my standpoint, the greatest act of hate is to remain silent about this faith I possess in this truth I believe because, from my understanding of these pages, there is only ONE. …dare I be silent when given opportunity to say, “I believe…because…”? It is my understanding that every devil behind every false belief has one goal: to keep as many as possible away from the ONE way, truth, and life. 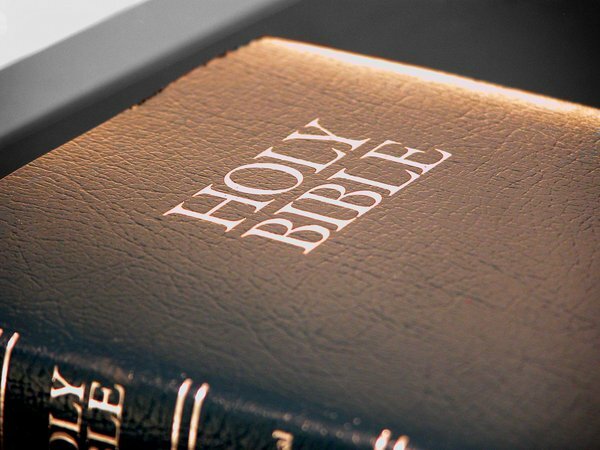 As one who truly and fully believes the God of Holy Bible is ONE and only ONE, showing us the way, the truth, and the life, I cannot stand silent about what I know. I try never to push my beliefs on others, though my excitement and commitment may come across that way. Pushing would do no good, for God says we each must choose. However, I do have to share my beliefs as opportunity comes, for to do less is to participate in someone being separated from ONE for all eternity. If there is no interest in what I share, they made their choice and I move on to love them anyway, being the best friend I can be in the situation. If my sharing my faith insults another, I hate the insult, but I love the person too much to fail to share what I can. If my sharing plants a seed of truth that God later uses to help even one person find the path, I win a brother or sister. For me, as one believing the things I believe to be true, remaining silent is the true “hate crime”. In light of this, though I hate losing friends, I make no apologies for the faith I believe and proclaim because I truly love each one I am privileged to meet. “Since you have been raised to new life with Christ, set your sights on the realities of heaven, where Christ sits in the place of honor at God’s right hand” ~ Colossians 3:1, NLT. This series has been a challenge to write, with the busyness of life making it difficult to press forward from one post to the next. I wonder of the need of concluding thoughts, but desiring to bring full closure, we press to the finish line together, realizing that God honors us with the privilege of His right hand. “…13 How blessed is the man who finds wisdom and the man who gains understanding. 14 For her profit is better than the profit of silver and her gain better than fine gold. 15 She (Wisdom) is more precious than jewels; and nothing you desire compares with her. 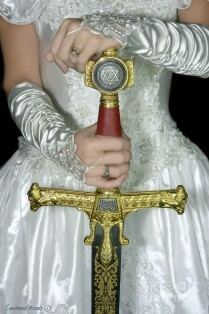 16 Long life is in her right hand; In her left hand are riches and honor. 17 Her ways are pleasant ways and all her paths are peace. 18 She is a tree of life to those who take hold of her, and happy are all who hold her fast…” ~ Proverbs 3. It is wisdom to us when we learn to live life to the full at God’s side. Wisdom is vital to life with God, discerning His will and way for life abundant and full. To His right is longevity of life, for we can trust His care and provision to establish us on the path He designed us to walk. 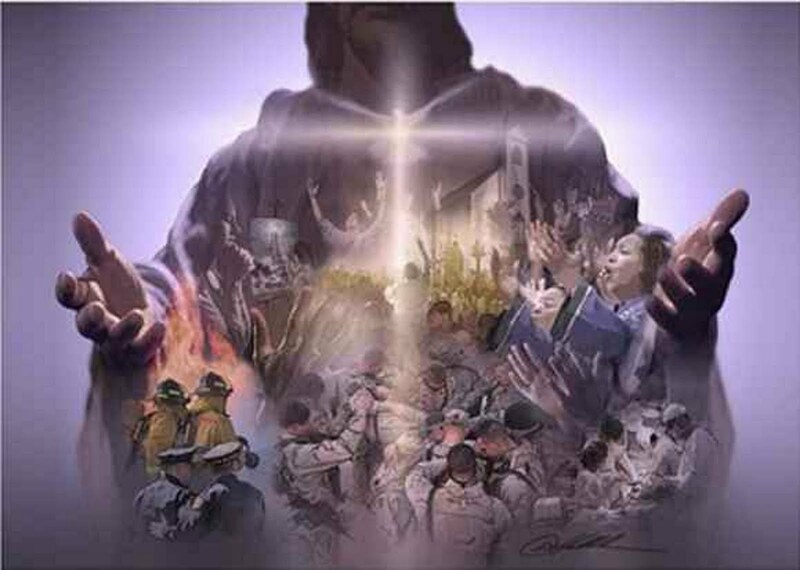 To His left is provision and the protection of those honored to set securely in His presence. There is abundance of life that supersedes every hardship for those who learn to grasp hold of godly wisdom that brings the good fruit of wisdom’s abundance to us (James 3:13-18). Of this wisdom, we are advised, “Happy (blessed, fortunate, to be envied) is everyone who holds her fast” ~ Proverbs 3:18, AMP. “Samson grasped the two middle pillars on which the house rested, and braced himself against them, the one with his right hand and the other with his left” ~ Judges 16:29. As I read of Samson’s final triumph, his use of both arms, strategically placed for one last victory, I realize the true source of Samson’s strength and supply. His ability to rely fully on God for all he needed and to apply God’s provision wisely is a picture for us of a powerful life in God. When we face life with faith in God and reliance upon Him, realizing where our strength comes from, we too have power for a life that accomplishes God’s purpose. Another beautiful picture as we consider the life of Samson is that no matter the pit of despair our unwise choices put us in, we can finish strong when we set our sights on Him and learn to thrive at God’s side. “Be very firm, then, to keep and do all that is written in the book of the law of Moses, so that you may not turn aside from it to the right hand or to the left” ~ Joshua 33:6. As I read this use of the right and the left hand, I see the protection available to us when we choose to walk the path of God, each step taken at His side. This passage warns us to take care not to turn to going in one’s own way or to surrendering self to other gods. There is protection at the side of God that keeps us from personal harm and from harming others. A stance that keeps God as God, trusting, relying upon, and being well established in Him, equips and enables us to fulfill His purpose in life. Refusing to turn to the right says to me that we do not fall to trusting our own strength and ways over God’s. Refusing to turn to the left says that we know from Whom our supply comes and do not trust our own or give credit to the conduit of God’s flow. Example: we know that though our job provides money for living (job = conduit of supply), God provides our job and our ability to work (God = Source of supply). God receiving the glory due His name provides us with His protection, for it is He we rely upon and His name is on the line. He will not fail to do all His says He will. He is faithful to respond to even our mustard seed of faith in His good word and promise. 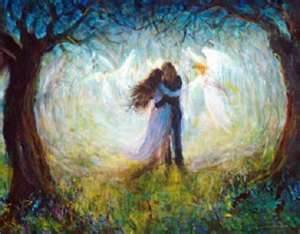 “Let his left hand be under my head and his right hand embrace me” ~ Song Of Solomon / Song of Songs 2:6 & 8:3. All of this teaching on thriving at God’s side has my heart throbbing, so it speaks of intimacy in our relationship with God. It speaks of the journey of a couple who truly enjoy their companionship. God desires relationship with us. Thriving at God’s side happens as we love Him above all and, desiring to please Him, we stick close on His heels, ready on the spot to move at His command for the accomplishing of His purpose, fully trusting Him who is faithful in all things, being faithful to Him as He is to us. Intimacy comes to us as we walk at His side and rest in His arms. “The eternal God is a dwelling place, And underneath are the everlasting arms; And He drove out the enemy from before you, And said, ‘Destroy!’” ~ Deuteronomy 33:27. Father, I pray for all reading this series to be established by You as Your beloved, adequately equipped to Thrive at Your Side. In Jesus, amen. Beloved, God positions us at His side with eternal purpose, empowering us for success on the journey of life. The supply of our position, empowered first by growth in surrendered living that is dependent on Him and His supply for life, is abundant and full. “Who caused His glorious arm to go at the right hand of Moses, Who divided the waters before them to make for Himself an everlasting name” ~ Isaiah 63:12. Moses was the visible instrument in the hand of God, through whom His power flowed to produce miracles in the world. As we stand to God’s right side, in the position of responsibility with authority to act, God feeds us with full power to do all He calls us to accomplish in His name. With His resources flowing to our left hand side, the side of dependence and trust, He empowers and supplies all we need for stretching out our right hand of action and obedience, equipping us to fulfill His purpose for our lives. With Him empowering our right hand through our left hand dependence on Him, all things are possible for us who know and trust that nothing shall be impossible with God. In understanding this power, I love the picture seen in the animated movie, “Lion King” where King Mufasa, standing behind his baby, Simba, adds his roar to his sons. Simba, facing an enemy assault, takes a posture of authority and power, letting out a roar to send the enemy off in fear. The king, knowing Simba was too small and weak to have any real influence against the assault, takes a stance behind him, roaring out in unison with the son. The kings roar added to Simba’s gifted the son with the authority and power necessary for the son’s actions to be effective. “Then the priest shall take the one male lamb and bring it for a guilt offering, with the log of oil, and present them as a wave offering before the Lord. Next he shall slaughter the male lamb in the place where they slaughter the sin offering and the burnt offering, at the place of the sanctuary—for the guilt offering, like the sin offering, belongs to the priest; it is most holy. The priest shall then take some of the blood of the guilt offering, and the priest shall put it on the lobe of the right ear of the one to be cleansed, and on the thumb of his right hand and on the big toe of his right foot. The priest shall also take some of the log of oil, and pour it into his left palm; the priest shall then dip his right-hand finger into the oil that is in his left palm, and with his finger sprinkle some of the oil seven times before the Lord. …The priest shall also pour some of the oil into his left palm; and with his right-hand finger the priest shall sprinkle some of the oil that is in his left palm seven times before the Lord” ~ Leviticus 14:12-16, 26-27. Blood pictures cleansing and oil pictures renewed relationship with God that anoints with authority and power for life made new in Him. Note the bowl of blood and the hand full of oil is in the priest’s left hand, showing supply from God. The work of ministry He pours through the priest’s right hand of obedience. The priest then applies the blood of cleansing to the right ear, hand and foot of the person anointed for service to God. Right ear, hand, and foot shows left-sided dependence on God to make one clean and ready for right-sided service to Him. The anointing of the oil he sprinkles on the person as a whole, empowering them for service that depends on God’s supply. Right ear hearing: That service flows to ears made ready and empowered to depend on God to make Himself heard. Given the ear of a disciple, to hear as a disciple, we then take that word to others made ready to hear God’s word sent through us. Right hand working: The right hand cleansing pictures a person made ready to reach out with power to fulfill the will of God in ways that minister to those we reach to with His gracious supply. God then uses us to empower others to come to His side in likeness to our example, made ready to serve Him. Right foot moving: With God’s supply that cleanses our feet, He makes us holy, setting us on a righteous path. We become His witness wherever He sets our feet to walk. We no longer kill the fatted lamb; Jesus is that lamb for us, and He is the priest, reaching out His hand to touch us with His blood of cleansing and empower us with His anointing oil of gladness, making us one with Him in purpose and service. God, through Jesus, supplies our left hand and empowers our right. “When the three companies blew the trumpets and broke the pitchers, they held the torches in their left hands and the trumpets in their right hands for blowing, and cried, ‘A sword for the Lord and for Gideon!’” ~ Judges 7:20. Note that in these last two passages for this post, as we thrive at His side, our lives meld into His. We become one with Him, our left hand as His own, filled with His supply, and our right hand moving with His, effective in ministry. 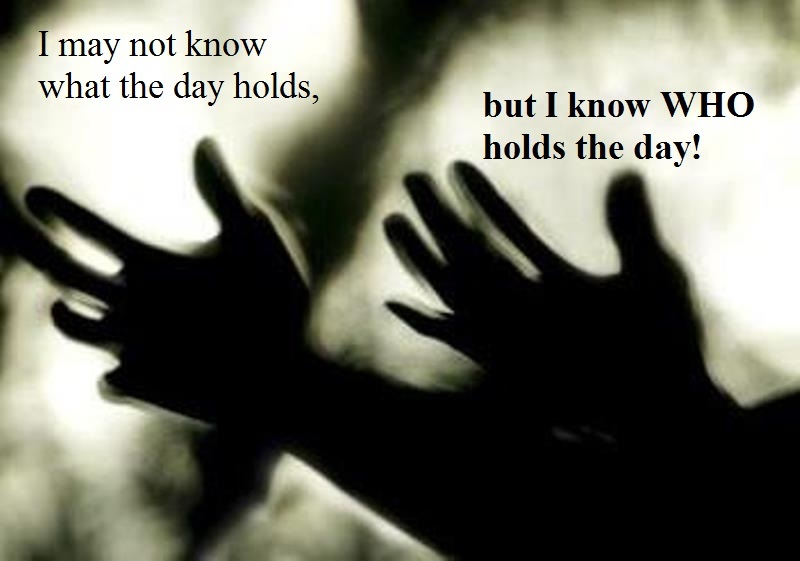 The left hand of God is the place of His protection and provision; our left hands hold His supply. The right hand of God is the place of His authority, power, victory, and wisdom; our right side flows forth the revelation of His right hand power in us. When God sets us on His left, grabbing us by our right hand, all is His to do as He leads us safely through this life. When God sets us on His right hand side, He shows us what we have authority to accomplish while empowering us to do so. There, He grants us wisdom to know and do our part as His representative in the world. There we have His authority as if we are His signet ring on His right hand (Jeremiah 22:24). There, we become His instrument for victory, His pouring forth to and through us with the power He gives us to win the day in His Name and to His glory. In life lived for God, we truly are seated on both sides at all times, dependent on Him and moving in unison with the authority He pours through us at all times. At the right side of God, with the trust of His left side supply, we become His swords in the earth, rightly dividing the word of truth and influencing the world for good. Fully dependent on God, as good stewards trusting His supply, we live out our days as His instrument, accomplishing Kingdom purpose where we live. We Thrive at God’s Side ~ Part 5: Victory! God seats us on His left in areas where complete reliance upon and trust in Him and His supply is our need. On His left side, we are dependent on God for all our need with nothing we can do to affect the outcome. However, when God seats us to His right, we become His instruments and partners in all He does. 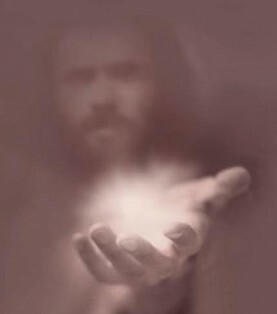 There, we not only have supply from His right hand, but we become an extension of His holy arm. 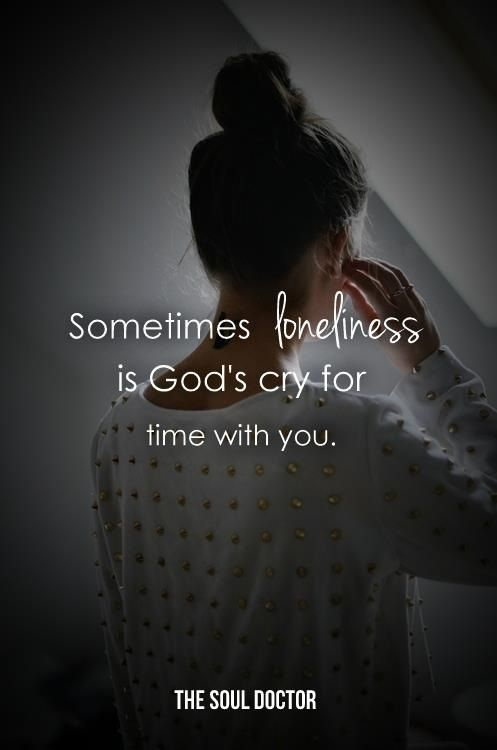 Discerning the difference that signals which side God has us on in any given moment and learning how to rest at God’s side is the journey we are on as we consider God seating us at His side. “O sing to the Lord a new song, For He has done wonderful things, His right hand and His holy arm have gained the victory for Him” ~ Psalm 98:1. “The Lord says to my Lord: ‘Sit at My right hand Until I make Your enemies a footstool for Your feet’” ~ Psalm 110:1. Beloved, as I read this verse in light of considering all it means to be at God’s right hand, I realize that He speaks this word to us through Christ, when He sits us to His right side. God calls us to trust Him for victory over our enemies, just as Jesus did and does. As seen in the life of Christ, a part of the battle is ours to win through the authority we have in God through Christ. As we stand firm with God in this life, He uses us in His work of delivering us to victory over our enemies. “Though I walk in the midst of trouble, You will revive me; You will stretch forth Your hand against the wrath of my enemies, And Your right hand will save me” ~ Psalm 138:7. Note the Psalmist says he walks in the midst of trouble. Jesus warned that trouble will come to us as part of our experience in this life because we are not home with God yet. I don’t know about you, but too often, when trouble comes to me, having eyes on the trouble knocks me for a loop and hinders my ability to keep walking through it. Such fear and stagnation do not accomplish the work of God. God has a work for us to do here, victories for us to win, and a witness for us to bear forth so that others may join us on our Kingdom journey. One thing that equips us to walk with God is the realization that He walks beside us in the trouble, fighting for us, bringing us into victory with Him. 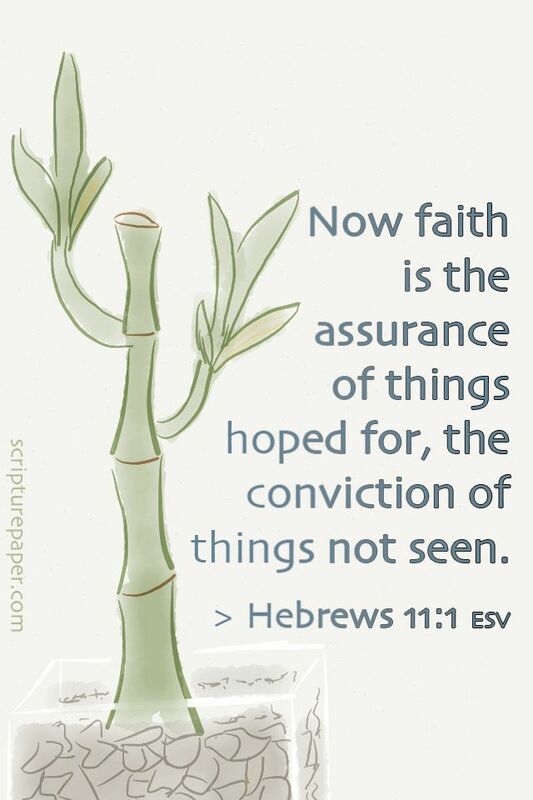 As we keep eyes of faith on God, we can walk forth to accomplish all He calls us to as partner with Him in His work. “Do not fear, for I am with you; Do not anxiously look about you, for I am your God. I will strengthen you, surely I will help you, Surely I will uphold you with My righteous right hand” ~ Isaiah 41:10. In order to realize victory in Christ, realizing God’s presence with us, it is vital that we keep focus on Him, trusting His hand to uphold, strengthen and help us. “Do not anxiously look about you” is the key to our recognizing and participating in victory. 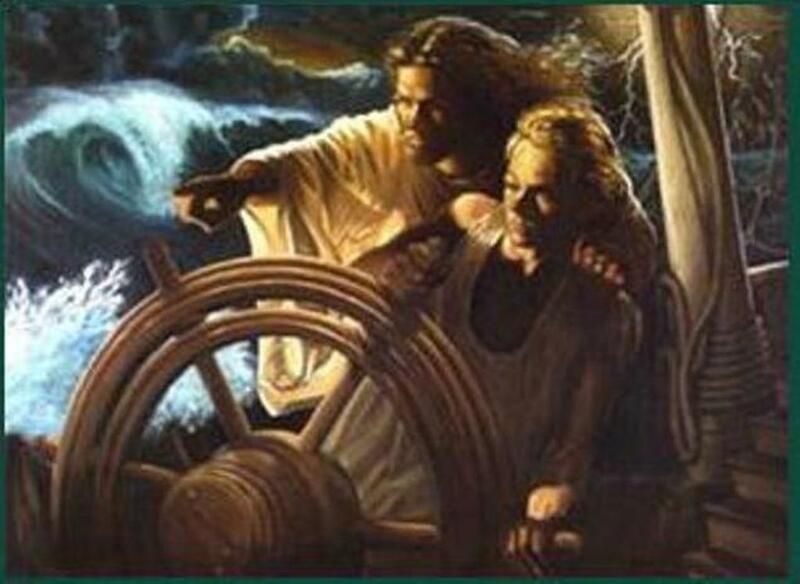 Think of Peter, taking that step of faith to get out of the boat and walk with Jesus on that storm tossed sea. He was fine until he took his focus off Jesus and put it on the crashing waves. When we are anxious, feeling defeated and impotent, it is because we are looking at the waves of life’s storm tossed seas. 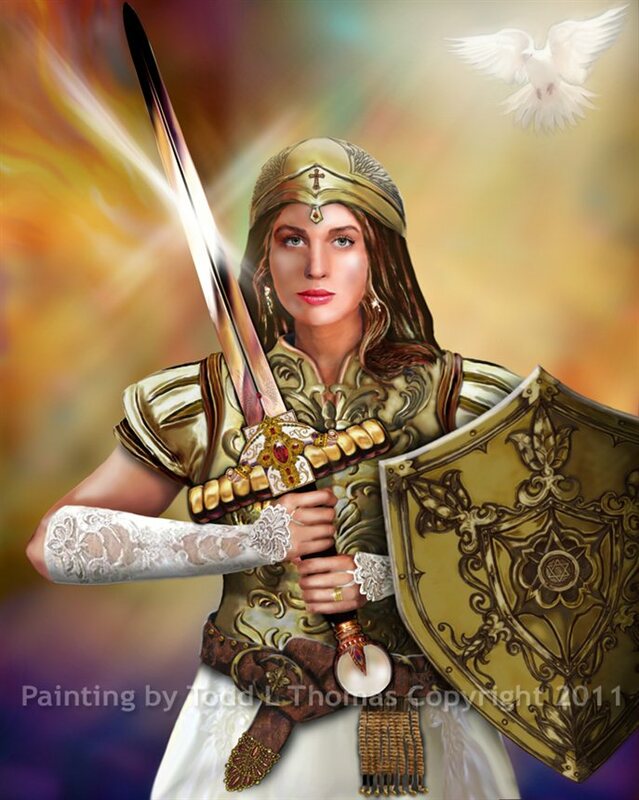 Refusing fear, realizing and trusting God’s presence, keeping eyes on God so as to overcome anxiety, and resting in His right hand that reveals to us the way of righteousness that works victory is our pathway to hope’s assurance and help in the battle. In addition, God promises in the Amplified version of Isaiah 41:10, “I will strengthen and harden you to difficulties.” Since trouble is a natural part of living in a world dictated by fleshly, worldly, and demonic wisdom, persecution and difficulty comes swiftly against those of godly wisdom who walk in ways that differ from this world. That makes it vital that we trust God to use the trouble to harden us against its assault. The closer we walk to the side of God, seeing victory at His right side, the more difficult it is for the trouble that comes at us to make a dent in our armor. Our faith stands firm and sure with greater strength as we grow in our ability to keep eyes on God, having a trust that is secure in Him, hardened against trouble. “The Lord has sworn by His right hand and by His strong arm, ‘I will never again give your grain as food for your enemies; Nor will foreigners drink your new wine for which you have labored’” ~ Isaiah 62:8. The promises of God come to us by the power and might of the strong arm of His right hand. It is the right hand of God that moves on our behalf, saving and protecting us, fulfilling His every good word to us. His right hand holds us up so we may stand firm of faith while we participate with Him as partner-instruments in His victory. Thus, we praise Him, because we know His presence with us, we trust His promises, and we understand that any good accomplished by us flows to us from His right-hand supply. “The sound of joyful shouting and salvation is in the tents of the righteous; The right hand of the Lord does valiantly” ~ Psalm 118:15.